Join us as we take a look inside the new Warhammer 40,000 Kill Team: Rogue Trader Boxed set! The box comes with 3 sets of sprues. They are all dyed plastic and represent the two factions along with doors, bulkheads and ship accessories. 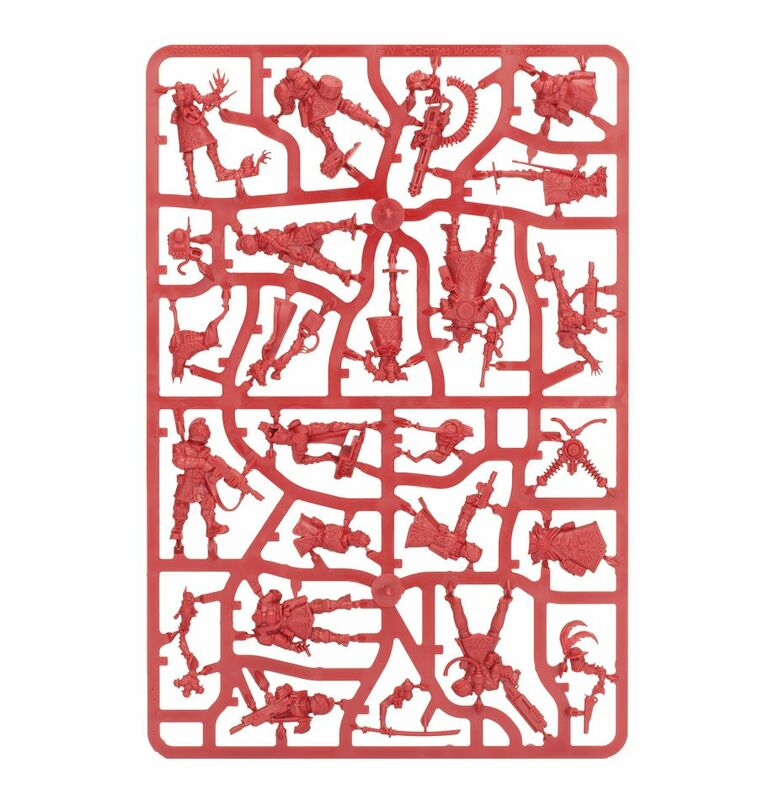 The Starstrider’s sprue comes in a dyed red and has all the bits to create the Rogue Trader’s Retinue. It’s roughly the size of a standard sprue you would find in a typical GW boxed kit. They are not snap-fit and will require a good set of clippers or hobby knife as well as glue to assemble. The Gellerpox Infested sprue comes in that sickly green dye that was also used for the Death Guard sprues from the Know No Fear Starter Set. 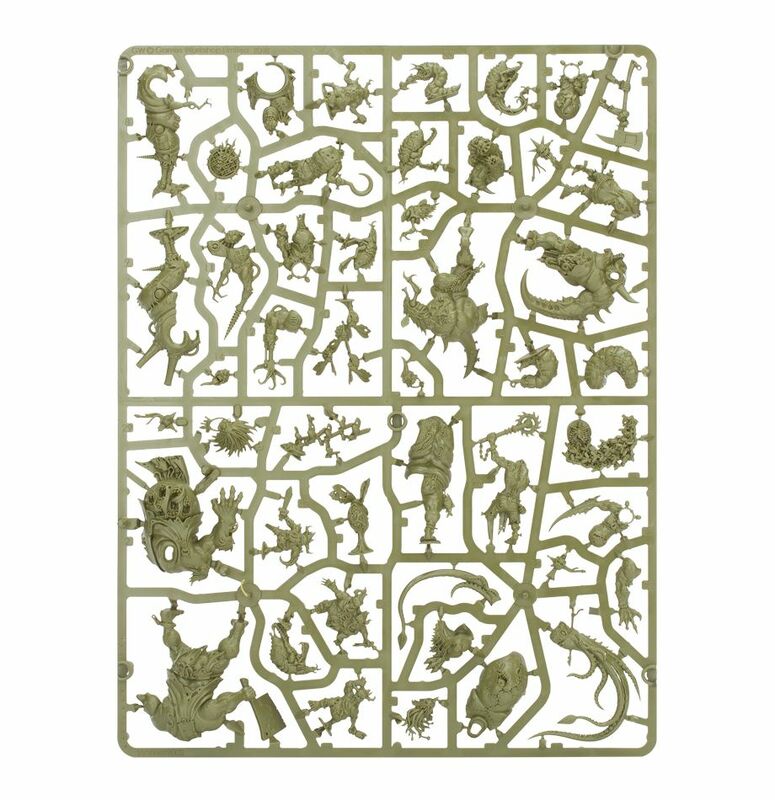 It’s a much larger sprue and contains all the models for the Gellerpox forces including the 3 Hullbreakers, Vulgrar, 3 Gellerpox Mutants, and various Mites, Grubs and Glitchlings. Each model is disgustingly detailed in the most nurgle-way possible. On top of that, you also get two bulkhead sprues. 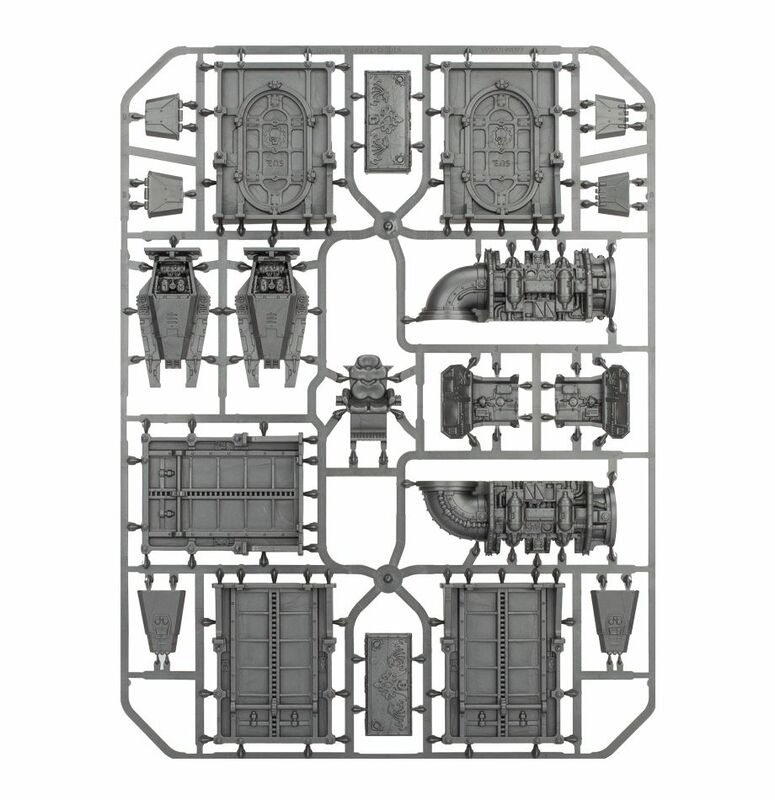 These make up extra walls, doors, and accessories for your games of Kill Team: Rogue Trader. They would also make excellent terrain pieces for 40k with some extra attention. 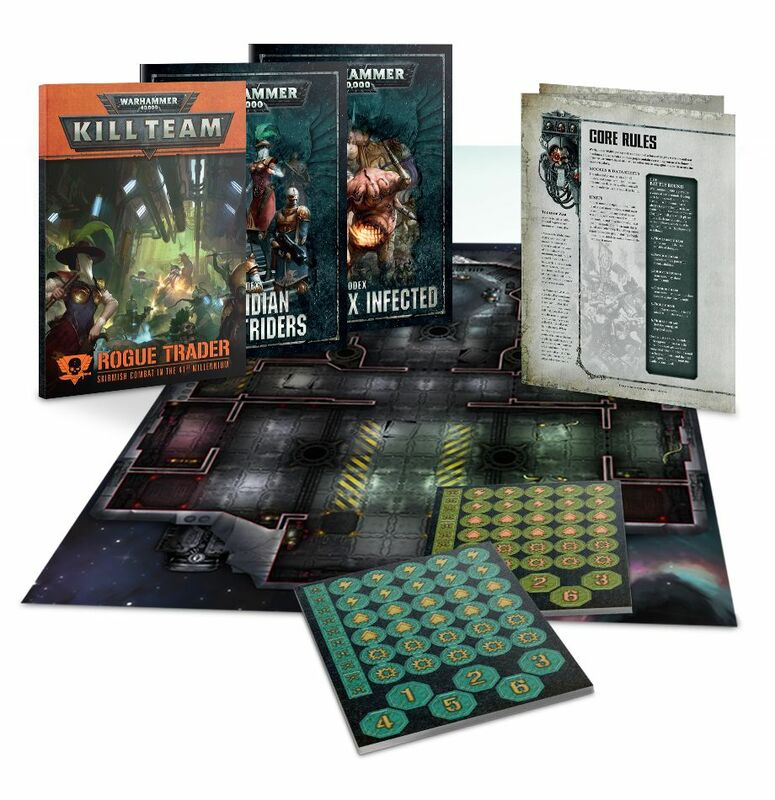 Kill Team: Rogue Trader is basically an small expansion to Kill Team – it uses the same core rule set but introduces these two new factions along with a new play area and lots of custom scenarios for it. The board is double sided and is designed to be played with the two factions included. There is also a campaign that will take you through the story of this unfortunate ship. 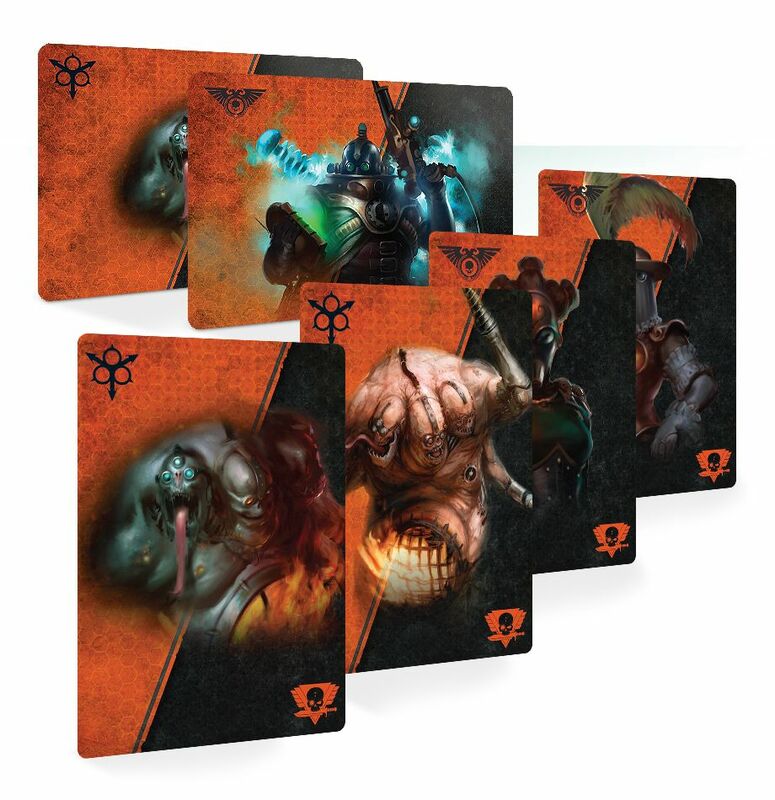 Because this is a Kill Team game, also included are cards for all the models to be used in Kill Team. Plus, each faction has their own set of Tactic Cards to help players keep track of them during the game. 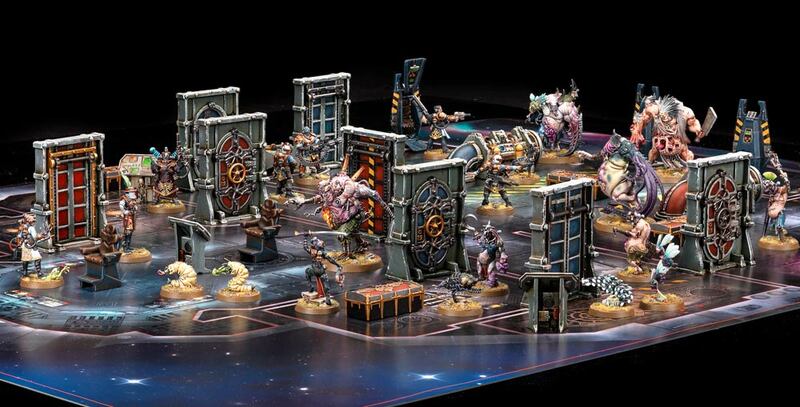 Kill Team: Rogue Trader has everything you need to get started playing in the box. 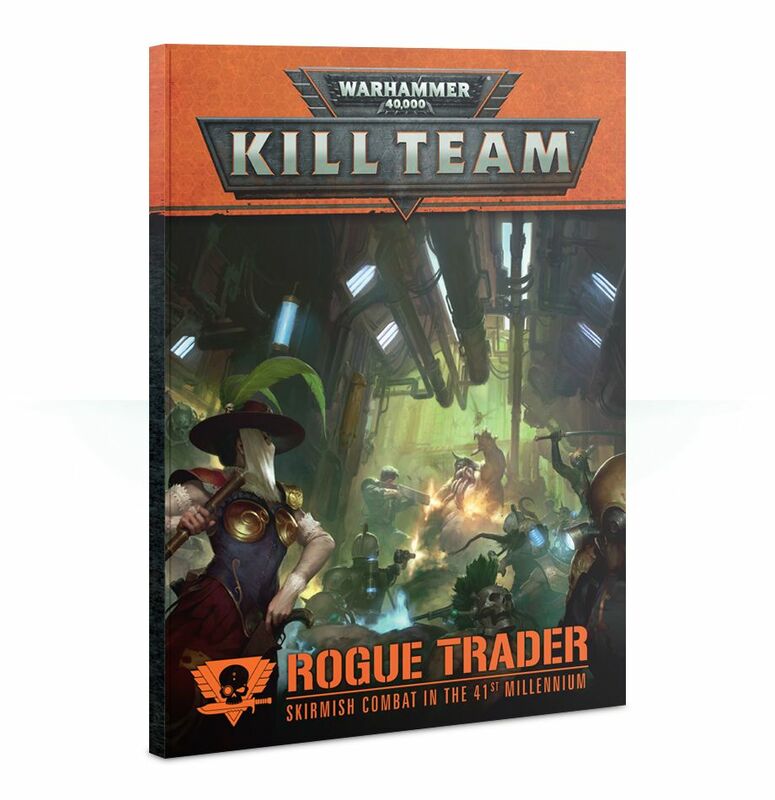 If you’re looking for a good starting point for a new player or if you’re an old vet looking to try out one of the completely new factions then you can do that when Kill Team: Rogue Trader hits shelves next weekend.